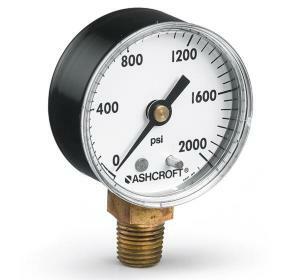 The Ashcroft® 1000 pressure gauge offers reliability and performance for general industrial applications. 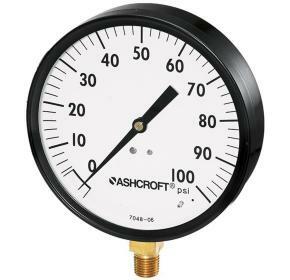 The Ashcroft® 1001T pressure gauge combines an aesthetic panel mount design with reliability and performance. 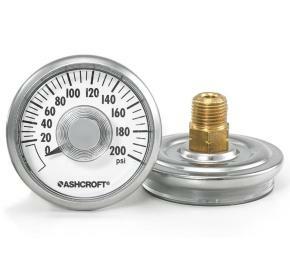 The Ashcroft® 1005, 1005P and 1005S series pressure gauges combine an aesthetic design with reliability and performance. 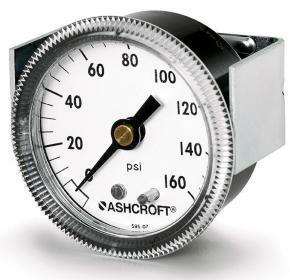 The Ashcroft® 1005P XUL sprinkler pressure gauge is an Underwriters Laboratory listed and Factory Mutual approved for fire protection sprinkler service. 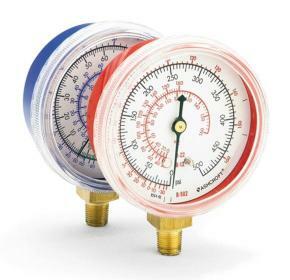 The Ashcroft® 1007P and 1001T XOR refrigeration pressure gauges are reliable instruments used in refrigerant test, recovery and recycling markets. 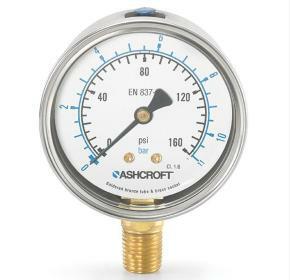 The Ashcroft® 1008A/AL pressure gauge offers exceptional quality, durability, and performance. 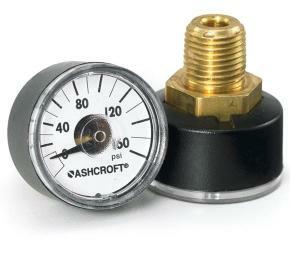 The Ashcroft® 2071A contractor gauge is used by HVAC and plumbing contractors. 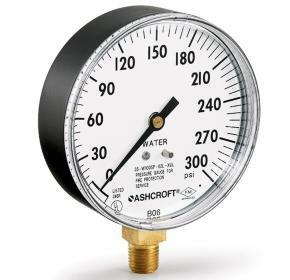 The Ashcroft® 12DDG/15DDG direct drive gauges are an economical solution for measuring pressures within very limited space installations. 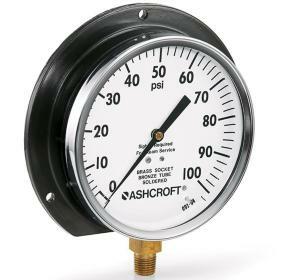 The Ashcroft® 23DDG Minigauge® is used for measuring pressures within very limited space installations. 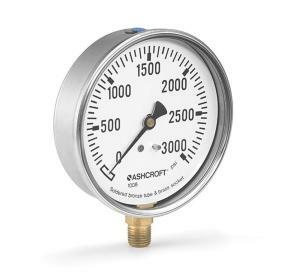 The Ashcroft 8008A pressure gauge is designed to meet both EN837-1 and ASME B40.100, ensuring accuracy and long term performance.